A fantastic finishing touch to any golfing event the promotional golf towel has a great stitch area to carry a companys corporate branding. It is manufactured from 100% cotton and can be embroidered or printed. 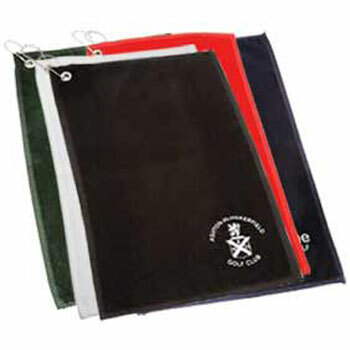 The golf towel includes a silver eyelet and clip for ease of attachment to a golf bag. Please contact us directly with your requirements and for more information.